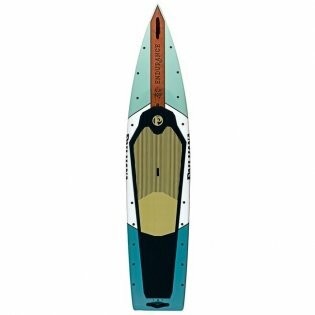 Don’t let the name fool you, the Pau Hana Endurance XL isn’t just aimed at touring, but also makes for an excellent fishing board as well. Compared to their standard Endurance board, this one has a higher volume, so you can bring an additional 100 lbs of payload if you wish. It also has four through holes, giving you options for staking, locking or even adding an electronic fish finder to your board. In terms of specifications, the Endurance XL is 12'0” in length and 30” wide, with a thickness of 6.5”. 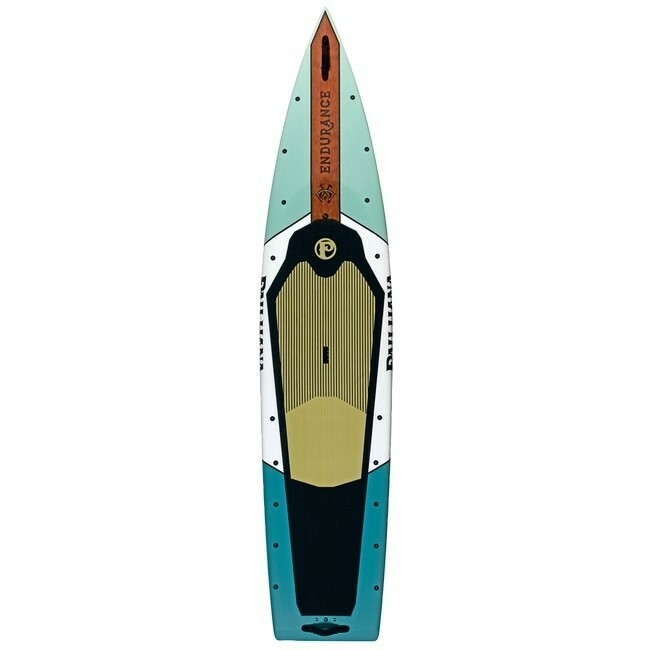 In addition, it weighs 31.5 lbs, but can hold a volume of 260 L.
The Pau Hana Endurance XL features a displacement hull and a expanded polystyrene foam core as well as a 5mm EVA deck pad. In fact, the extra soft pad is actually comfortable enough to double as a sleeping platform for those adventurous enough to go on overnight fishing expeditions with their boards. This is the type of board that you can take anywhere as the hull is protected with Ricochet. This means logs, rocks and other hard objects that might cross your path in the water won’t be able to wreck the board. It has strategically placed Seamounts, so you able to secure your gear either to the front or the rear of the board. In addition, it has handles on the front and rear. This board is not the cheapest stand up paddle board option on the market, but it does offer the perfect combination of style and functionality. If you do a lot of your fishing in backcountry water, then the Endurance XL will definitely come in handy. It is easy to paddle in any kind of condition and even when fully loaded with gear it remains stable as well as maneuverable.